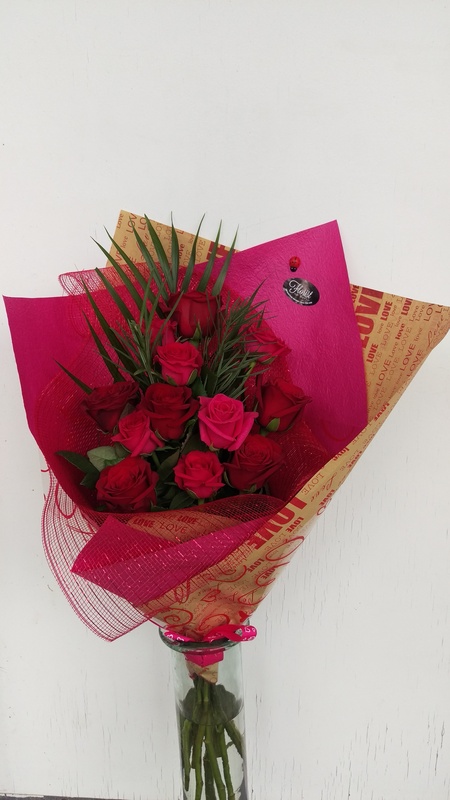 Red and Pink Rose Bouquet with foliage and net. Pink and Red Roses together mean Love and Appreciation. When ordering please type your card message in the "Customer Notes" Section as well as any other relevant delivery instructions.